The Sakagura Yokocho is a very easy place to find in Saijo. When looking for Kamotsuru, you will run in front of this yokocho which is more of a square than an alley. The shops here are all quirky and a bit touristy but there seemed to be a good mix of locals visiting these shops. 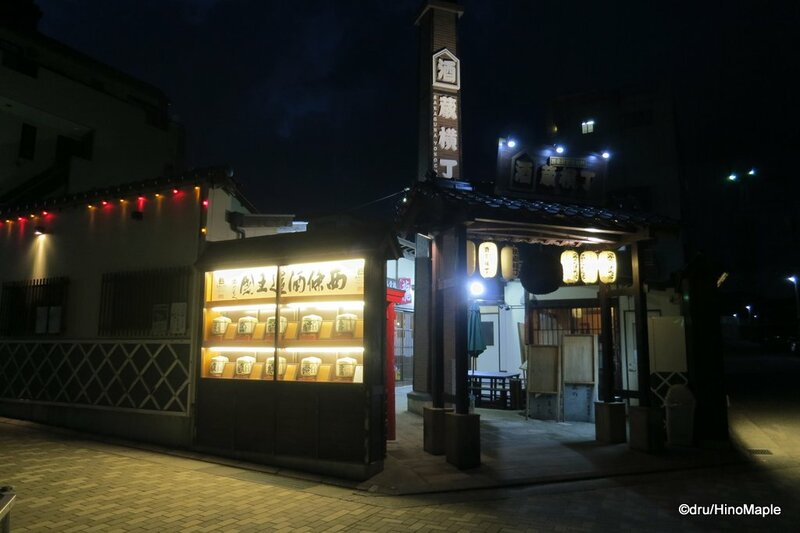 I’m not sure how well they do as Saijo seems to be a bit of a quiet place at night and not too many people seem to be going out for drinks at that time. I came to the Sakagura Yokocho after visiting Fuudo earlier in the evening. I needed a few more drinks as the night was still young, at least by Tokyo standards. I walked around looking for a shop and settled on one of the shops closest to the main entrance. There were a few other shops but this small shop looked interesting. This shop was tiny and only had counter seating. It had a fire pit along the counter for grilling different things and the employees seemed to be very chill. When I entered, there were 3 people at one corner, so my friend and I took up the other side of the shop. We just relaxed and had a little snack of grilled squid and soup. 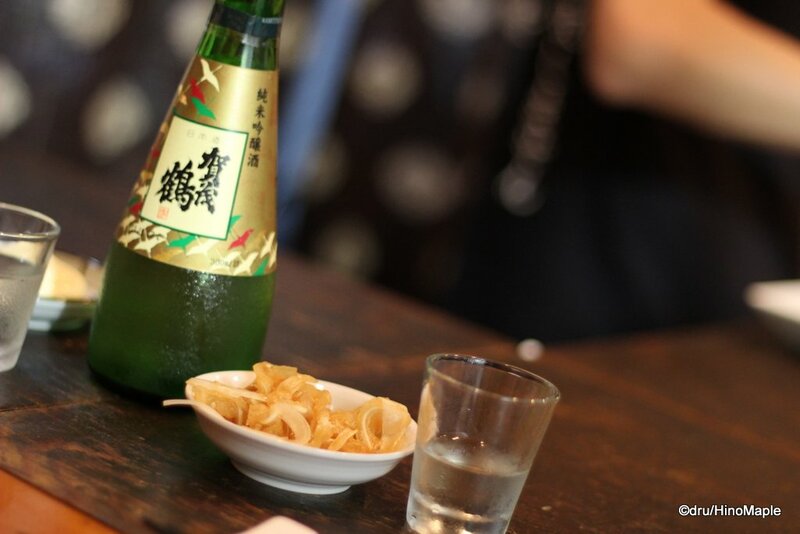 It was really good with the sake from Kamotsuru, my favourite regular brand. The shop had a lot of other interesting foods I could have ordered but I was way too stuffed to really try anything. I just ended up sharing a couple small bottles of sake with my friend before we left. 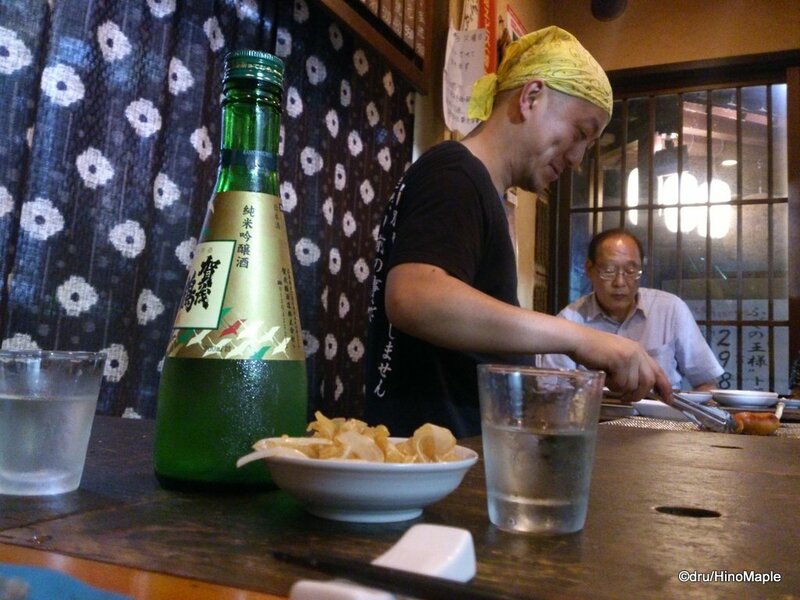 This entry was posted in Chugoku Food and tagged food, Higashi-Hiroshima, Hiroshima, japan, nihonshu, Saijo, Sakagura, Sakagura Yokocho, sake, Yokocho by Dru. Bookmark the permalink.